CRAZY COOL GROOVY!!! : LOUISIANA LEGISLATOR PROPOSES EXOTIC DANCERS Be 21 - 28 Y/O & WEIGH NO MORE Than 160 LBS.!!! LOUISIANA LEGISLATOR PROPOSES EXOTIC DANCERS Be 21 - 28 Y/O & WEIGH NO MORE Than 160 LBS.!!! Earlier this week in BATON ROUGE, LA; State Rep. KENNY HAVARD (R: St. FRANCISVILLE) officially submitted a written amendment to legislation that would have mandated dancers at strip clubs be no older than 28 and no heavier than 160 pounds!!! When challenged by other legislators, he quickly withdrew the amendment and later called it a joke about overregulation. 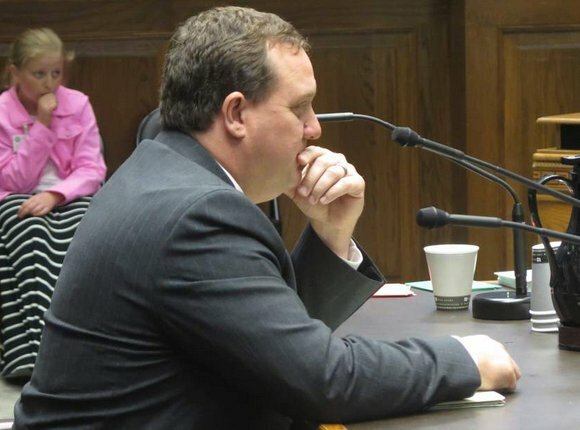 Because the hole was made while In Session, it is now an official part of the legislative public record, and did upset several female lawmakers in the House, who called it a new low for inappropriate and sexist comments that regularly pervade the State Capitol. The ADVOCATE reports Senate Bill 468, by Sen. RONNIE JOHNS (R: LAKE CHARLES), would raise the age of dancers at strip clubs from 18 to 21. Rep. WALT LEGER, III, (D: NEW ORLEANS), who presented the measure on Johns’ behalf, said the legislation is intended to combat human trafficking, as recent stings have found underage homeless youth and foster children who have aged out of the system being targeted to work at clubs where prostitution and drug dealing flourish. Johns, the bill’s sponsor, said he understands why women would be offended by the joke, but he doesn’t believe Havard meant any harm by it.